Have you ever seen a picture of a bed bug? Nasty little things. 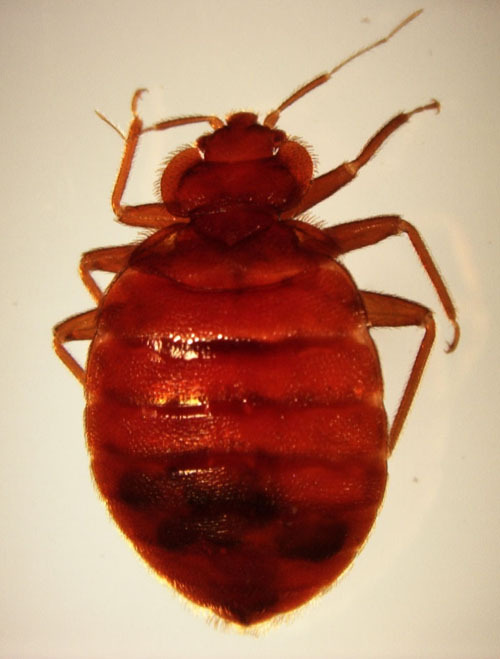 Likely you have heard about the rise in bed bug problems across the United States. You can read more about it here. Maybe you're wondering if you have a bed bug infestation yourself. But since they generally only come out at night you don't know what they look like. Let us help you. Below are some bed bug pictures. Keep in mind these pictures of bed bugs are enlarged. 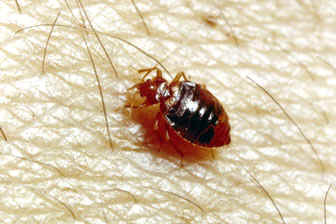 In reality, bed bugs are only 1/8"-1/4" long and relatively flat. Mabye you don't see the little nuisances in your home but you wake up every morning with nasty, red welts. Not sure if they are bed bug bites or not? 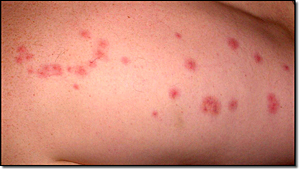 Check out the pictures of bed bug bites below and see if they look familiar. Best to let an expert tell you if you have bed bugs or not, but maybe these bed bug photos can help. In reading about bed bugs, you'll find that can be difficult to exterminate. Getting rid of bed bugs requires persistence. They can fit into extremely small cracks and are therefore to locate. The fact that they rarely come out in the daytime adds to the difficulty. If you suspect you have bed bugs, your best bet is to contact a professional and let them do their job. Exterminating bed bugs yourself can be extremely frustrating, and more often than not, unsuccessful. 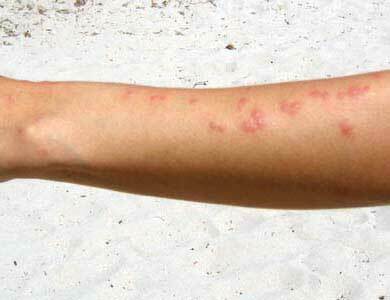 The fact is, bed bugs can cause health risks in sensitive people. Don't mess around, get rid of your bed bugs as soon as possible.